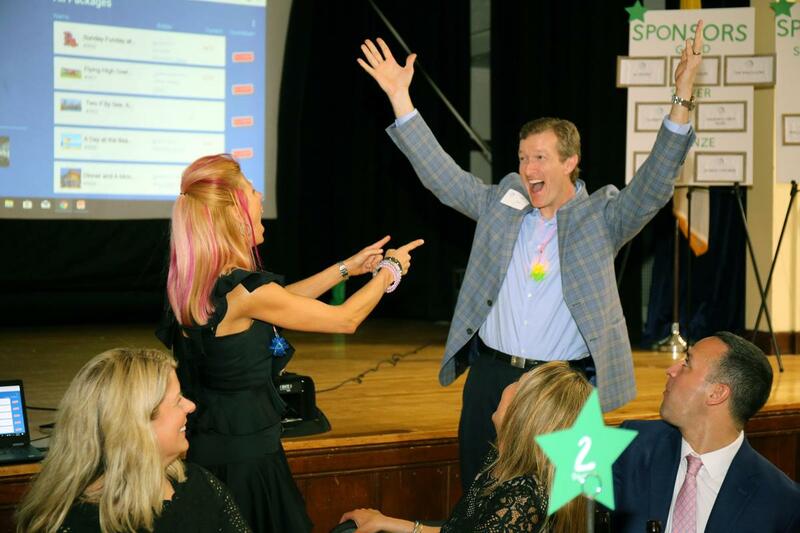 This year's Starry Night Auction was truly a night to remember! Over 200 MAA community members gathered on campus to support our school and enjoy one another's company. The evening kicked off with a delicious dinner provided by The Squealing Pig in Boston and was capped off by a rousing live auction. Our live and silent auctions featured over 150 items, including everything from vacation getaways, Patriots, Red Sox, and Bruins tickets to the chance to be Principal and Gym Teacher for the day. Our community member's enthusiasm was contagious and helped raise funds for our wonderful students. Donors also generously supported this year's special appeal, the installation of five brand new water filling stations. These efforts, led by a group of dedicated parents, will save the school money and reduce our environmental footprint. A huge thank you to all who donated to this worthy project. We would like to thank our sponsors, donors, volunteers, and all those who contributed to making this evening a great success. We are especially thankful for our auction co-chairs Tiffany Gero, P '20 and Yvonne Kearney, P '19, '15 for all of their hard work. The Starry Night Auction is an amazing testament to the generosity and strength of our school community. Thank you to all who attended and those who donated. We can't wait for next year!